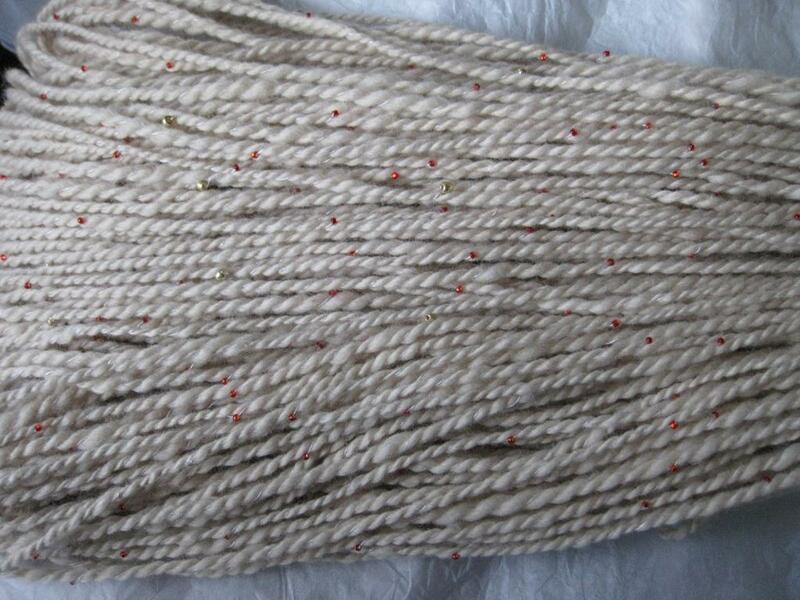 I made a new yarn! I guess I’d gotten fairly comfortable working with the same yarn “designs” over and over. Silver beads in grey, purple in black, and tons of lace weight black yarn are my staples. But this is a brand new, for-the-holidays combination. 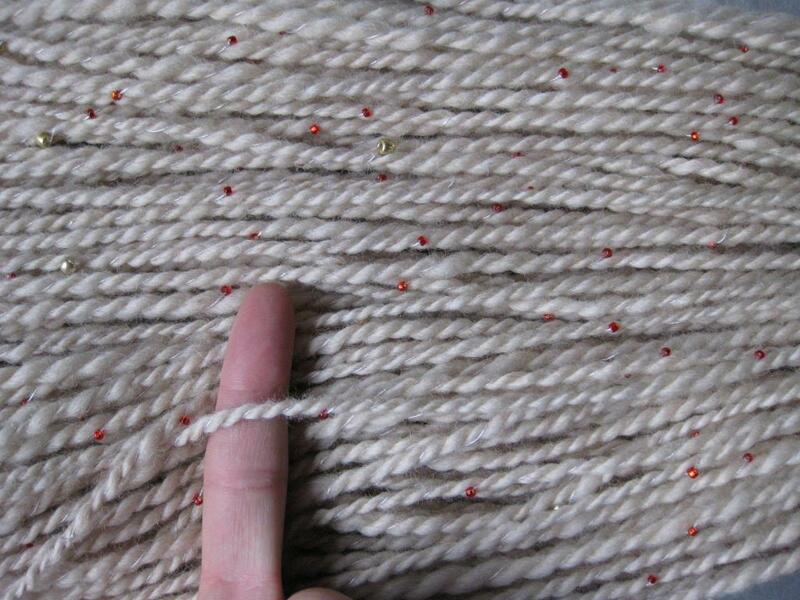 I spun it from Morocco’s roving, which is a very white cream color, with red and gold beads on white silk embroidery thread. It came out fluffy, soft, and with just enough sparkle. I don’t know how much of it to make, though. Sometimes I really love a yarn that never sells, and other yarns which I am more “eh” about sell like hotcakes. What do you think? This entry was posted in fiber art and tagged alpaca yarn, art yarn, beaded yarn, handspinning, handspun yarn, yarn. Bookmark the permalink. Ok dokey! I’ve got another evening’s worth of work and then I should have two skeins for you. Mom says one of those skeins is on the house because she promised she’d send you a skein of beaded yarn. You do beautiful work! Very, very pretty!